Prepare to rise and grind once again as 888poker’s super-sized XL online series is right around the corner. From September 13-23, 888poker’s popular XL Eclipse returns offering over $2.8 million in guarantees over the course of 34 events. This season, as opposed to throwing themselves into the early September madness of both partypoker’s POWERFEST and PokerStars’ World Championship of Online Poker, 888poker have separated themselves from the pack with a later starting date and a succinct schedule allowing them to be the primary focus of the online tournament world at the end of September. 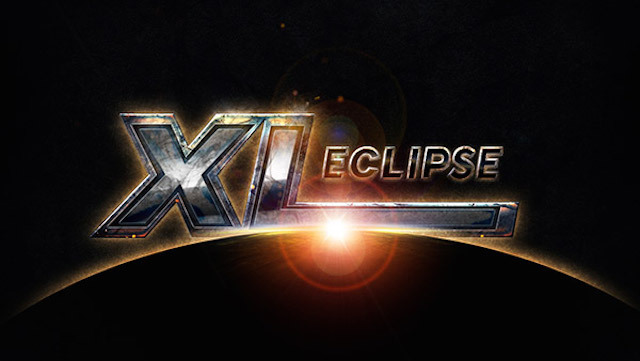 The diverse XL Eclipse schedule offers online players a shot at an XL title no matter their bankroll. Players looking for a six-figure score need look no further than the $1,050 buy-in Main Event on September 23 that comes with a $1,000,000 guarantee. Other tournaments on the schedule that promise to bring out the biggest names in the game include the $2,600 High Roller with a $200,000 guarantee and the $150,000 Whale with a $1,050 buy-in. However, the XL Eclipse also includes plenty of tournaments for those hoping to earn a huge return on a smaller buy-in with tournament entries dipping down to as little as $5. All of the popular tournament formats from previous XL series are returning including knockouts, deepstack, Six Max and Eight Max. It’s an accomplishment to earn a single XL title. Earning two should bring something extra. Win five and you may just change your life. 888poker is handing out bonuses for players who are able to capture multiple titles during XL Eclipse. A player who is able to secure two titles out of the 34 events will win a bonus $1,000. Three title wins $10,000 and four is a six-figure bonus of $100,000. If someone should completely dominate the series, winning five events outright, 888poker is awarding that individual an extra $1,000,000. Hitting the $1 million bonus may seem highly unlikely but there are also a few extras that everyday grinders can achieve. A player that reaches the final table in three or more events will be gifted a $600 tournament tickets and players that cash in eight of the 34 will receive a $215 tournament ticket. The XL series has a history of providing some of the biggest action in online poker. It was in May 2018 that the last 888poker XL series took place when XL Inferno awarded over $3 million in earnings when all was said and done. The Main Event of the previous XL Inferno saw the break thru of one of online poker’s hottest players. Jonathan ‘proudflop’ Proudfoot earned a career-high cash of over $208,000 by winning the $1 million guaranteed Main Event. At the time, Proudfoot was the 30th ranked player in the world, today the UK grinder has elevated his game and sits inside the top 5 in the world. Prior to that, it was Argentina’s ‘Pepepepepe’ that took down the XL Blizzard Main Event title in January 2018. He defeated the 730 player field and earned himself over $183,000. Then, a full year ago in the 2017 XL Eclipse Main Event ‘CllsDntMttr’ became the biggest winner of the series after the German won the Main Event and took home over $273,000 for his victory. In order to make the Main Event of XL Eclipse as big as it can be 888poker is offering daily online qualifiers. Every day, players can win their way into the XL Eclipse Main Event via satellite. At 21:00 GMT 888poker runs a qualifier with a three-seat guarantee.